If you are considering a career in audit, know that there are various types of jobs in which you can use such skills and specific training. You could be an internal or an external auditor, for example. But there are differences in terms of requirements, work policy, employer, and responsibilities between them. So which job would you choose? Do you know the difference? Check out this article and learn more about internal and external audit. An internal audit is an evaluation process done internally by a team of professionals. The purpose of internal auditing is that of providing an objective view of the company from within. This includes risk management, employee behavior, quality control, internal policy, organizational structure, information system, and resource management. Doing an internal audit can help improve all company processes. It can be done as often as it is needed and it can only regard one department, if necessary. These audits can be announced or unannounced. With announced, periodical audits, you make sure that the documentation to be audited is prepared so that things run smoothly. Not to mention the fact that keeping a schedule of audits makes people more careful in their jobs since they know they are going to be reviewed. Unannounced audits may cause a bit of chaos, but they are the way to go when someone in management suspects unethical behavior in any of the departments. Among the procedures internal auditors can resort to, there are one-on-one interviews, consulting the existing documentation, matching financial statements, looking for errors in all documents, and physically doing inventory. An external audit is required by law in various cases or it can be required by the board of shareholders. It is done by an independent firm with no involvement in the company’s accounting and organization. The report resulting from this audit is presented to the shareholders of the corporation. Overall, the main purpose of the external audit is to ensure that the company’s actions are in accordance with all regulations. This also implies that the report presented at the end is standardized and must state whether or not specific problems have been noticed. The format of the external audit usually is standardized. In cases where particular problems are found, the external auditors may formulate a “management letter” to address specific concerns. So what is the difference between internal and external audit? The main difference between them consists in their relationship with the audited entities. 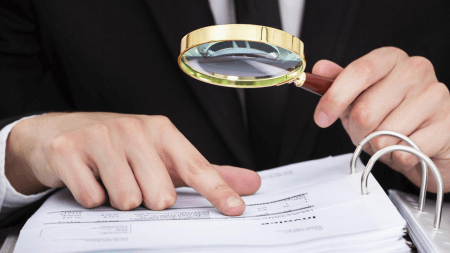 Internal audits are done by people employed by the same company, whereas external auditors must have no connection with the company. Therefore, by conducting the audit from within the company, the internal auditors will be more oriented at looking for ways to improve the current processes, while external auditors will try to make sure that all company processes are legal and in accordance with industry regulations. The external audit is standardized and regulated. It helps to keep things in check, rather than help the company improve. Furthermore, internal auditors report to the managers concerned with the object of the audit, to the Board or to the audit commission. External auditors, on the other hand, report to the shareholders or to the state authority that has requested the audit for legal purposes. The reports of the internal auditors are tailored since they understand the company. They know where to look and can sometimes have a more ample view of the problems each department is having. This also means they have access to prior audits and can know how to assess a situation compared to the previous one. On the other hand, since external audits are standardized, they look for specific tax and legal problems. The feedback received is also limited to a report and a “management letter” in specific cases.